Straight teeth that do not overlap are easier to clean, providing better tooth and gum health. A properly aligned bite makes chewing food easier, uses each tooth to its best advantage and eases jaw tension. Uniformly aligned teeth create an attractive smile and build confidence for a lifetime. There are many options with modern orthodontics, including options that go behind your teeth, clear braces and removable orthodontics, called Invisalign. 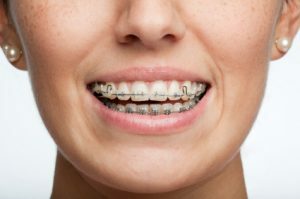 Please continue reading this section to learn of the choices available in orthodontics at the Placerville Dental Group. If you’ve been waiting for the right time to get a straight smile, now is the time!